Just like in fashion, patterns and textures in interior design come in and out as styles and seasons change. 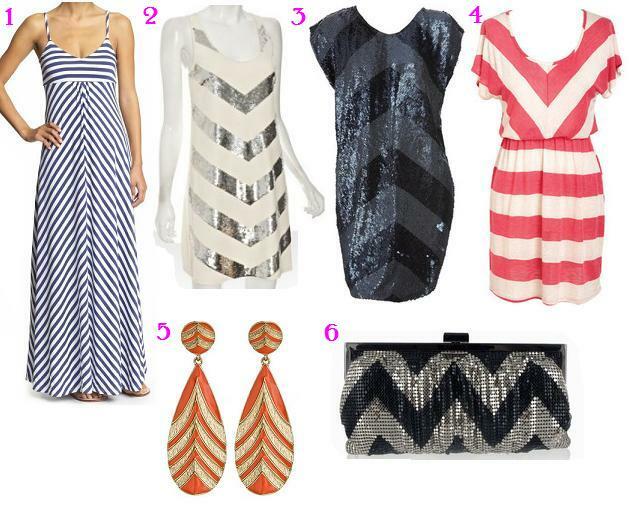 One season it’s all subtly contrasting ikats and chunky linen, and the next it’s bold chevrons and silk. You can often see parallels between your favorite decor source and your favorite boutique, with themes mimicking each other only a few months apart (think about all the electric-colored chevron pillows you’ve seen lately, then walk down the street and check out how many similar dresses you observe). You probably have one. So does your sister, or friend, or favorite magazine. Images clockwise from light blue via: All Modern, Rubie Green, West Elm, Room & Board. Anyway, what I’m getting at here is an excuse to post images of a dress that I saw recently; I don’t think I’ve liked a piece of clothing so much in months, but sadly, it’s already on sale (WHY? – Is it not selling well? Who doesn’t like this?) and they don’t have any in my size left. 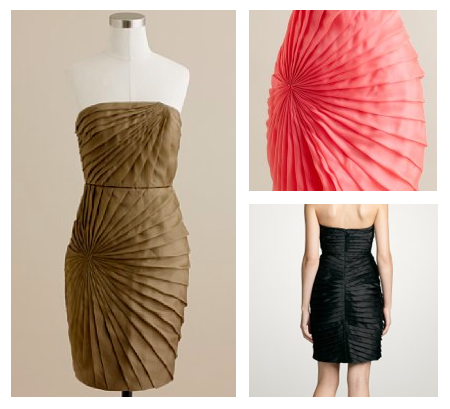 It’s J Crew’s Silk Organza Starburst Dress. The pleats! The sheen! The radial orientation of the folds that are usually pin-tucked or parallel (or crappily-executed). The exquisite detail! 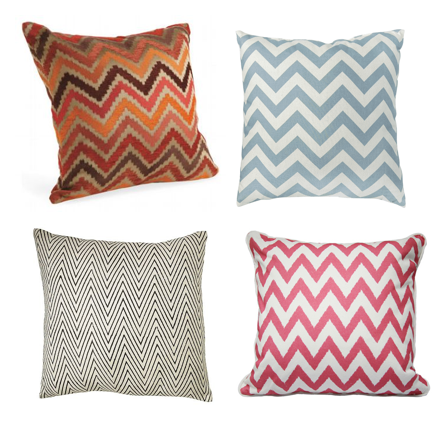 Now this is a trend I’d love to see in pillows or in bedding. I haven’t spotted anything quite like it yet, but I’m keeping an eye out for something that evokes this aesthetic. What a lovely combination of tone on tone texture and wonderful craftsmanship! Are there any fashion to home design trends you’d like to see? ← Giveaway!!! Hive Vase from West Elm!